Nolanite: Mineral information, data and localities. For geologist, Thomas B. Nolan (1901-1992), former director of the USGS. This page provides mineralogical data about Nolanite. ROBINSON, S.C., EVANS, H.T., JR., SCHALLER, W.T. & FAHEY, J.J. (1957) Nolanite, a new iron-vanadium mineral from Beaverlodge, Saskatchewan. American Mineralogist, 42, 619-628. Natalyite 2 photos of Nolanite associated with Natalyite on mindat.org. Roscoelite 2 photos of Nolanite associated with Roscoelite on mindat.org. 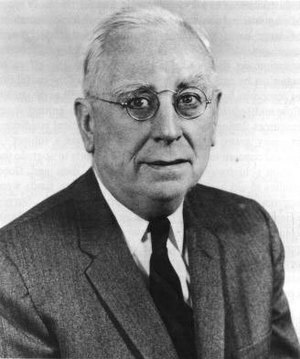 HANSON, A.W. (1958) The crystal structure of nolanite. Acta Crystallographica, 11, 703-709. TAYLOR, C.M. & RADTKE, A.S. (1967) New occurrence and data of nolanite. American Mineralogist, 52, 734-743. GATEHOUSE, B.M., GREY, I.E. & NICKEL, E.H. (1983) The crystal chemistry of nolanite, (V,Fe,Ti,Al)10O14(OH)2, from Kalgoorlie, Western Australia. American Mineralogist, 68, 833-839. ROBINSON, S.C., EVANS, H.T., JR., SCHALLER, W.T. & FAHEY, J.J. (1957) Nolanite, a new iron-vanadium mineral from Beaverlodge, Saskatchewan. American Mineralogist, 42, 619-628. ; Dieng, S., Kyser, K., & Godin, L. (2015). Genesis of multifarious uranium mineralization in the Beaverlodge area, northern Saskatchewan, Canada. Economic Geology, 110(1), 209-240. ROBINSON, S.C., EVANS, H.T., JR., SCHALLER, W.T. & FAHEY, J.J. (1957) Nolanite, a new iron-vanadium mineral from Beaverlodge, Saskatchewan. American Mineralogist, 42, 619-628. ; Tremblay, L. P. (1978). Geology of the Beaverlodge mining area, Saskatchewan (No. GSCAN-M--367). Geological Survey of Canada. 16th Australian Geological Convention, Adelaide, ; Spry, P. G., & Scherbarth, N. L. (2006). The gold–vanadium–tellurium association at the Tuvatu gold–silver prospect, Fiji: conditions of ore deposition. Mineralogy and Petrology, 87(3-4), 171-186; Scherbarth, N. L., & Spry, P. G. (2006). Mineralogical, petrological, stable isotope, and fluid inclusion characteristics of the Tuvatu gold-silver telluride deposit, Fiji: Comparisons with the Emperor deposit. Economic Geology, 101(1), 135-158. Long, J.V.P., Vuorelainen, Y. & Kouvo, O. 1963. 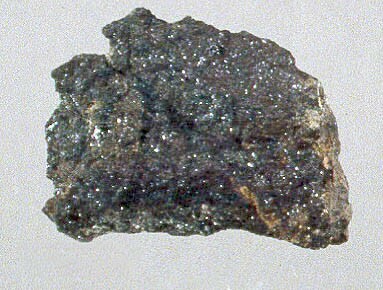 Karelianite, a new vanadium mineral. The American Mineralogist 48 (1-2), 33-41. P.M. Kartashov data; Boitsov, A. V. (1997). The mineral composition and the ore types of the uranium-vanadium deposit Srednaya Padma (Onega region, Russian Federation). Changes and events in uranium deposit development, exploration, resources, production and the world supply-demand relationship, 259. Anthony, J.W., et al (1995), Mineralogy of Arizona, 3rd.ed. : 314; Graeme, R. (1993), Bisbee revisited, Min.Rec. : 24: 421-436.